The Protectorate of Betony is a small island in the Iliac Bay, off the coast of Daggerfall. It is a prosperous fishing island and strategically placed; however, it is also vulnerable to pirates. It is best known for triggering the War of Betony in 3E 403, in which Daggerfall and Sentinel fought to control Betony. 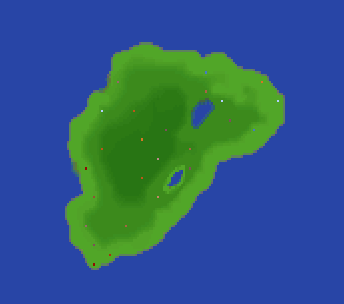 Prior to the war the island had been loosely controlled by Sentinel. With Daggerfall's victory in the war, Betony became part of Daggerfall. For more information, see the complete article. The dominant vampire bloodline in the region is Vraseth, and the regional deity is Mara. Its political capital is Daggerfall City. The demo for Daggerfall takes place in a Betony modified to contain additional content, including the added city of Betony City. This page was last modified on 28 June 2017, at 06:34.